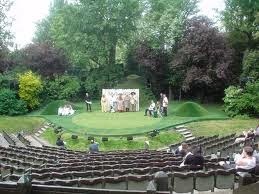 Regent's Park Open Air Theatre has announced its summer season with J M Barrie's original stage play of Peter Pan opening its 2015 season, running from 15th May to 14 June. It will be co-directed by Timothy Sheader and Liam Steel. This will be followed by Seven Brides for Seven Brothers (16 July-29 August), which reunites the team behind the 2013 award-winning production of The Sound of Music including director Rachel Kavanaugh and choreographer Alistair David. Timothy Sheader's production of William Golding's Lord of the Flies will then return to the Open Air Theatre for a short run from 3 to 12 September to conclude the 2015 season, prior to a major UK tour. Full creative team and casting is to be announced. Public booking for the season opens on 9th December 2014.